Like the smell of a brand new car the sight of a sleek, shiny, and any new Windows Operating System creates a lot of newsworthy buzz. You may ask yourself this as you look at your computer, “Is it worth it?” The biggest reason you might want to switch to the new Windows 7 is because of your very old and slow computer. If your computer is starting to have hardware problems, and wouldn’t want to be bothered with the hassle of having it repaired you might start looking at new computers in the store. And these days all the new computers in the store are running Windows 7. How about if your computer is running just fine, and you have Windows XP chugging along just fine. Then you shouldn’t worry about upgrading to Windows 7, because in the end you’re paying for the looks. 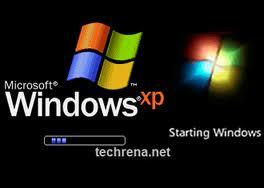 All the programs that you were to purchase in the store will still be compatible with Windows XP to a large degree. Windows XP, although being about 7 years old, has built a reputation for being a very reliable solidly built operating system with excellent support provided by Microsoft since its inception. With a Total of 3 Service Packs having been released you can rest assured knowing that the computer is going to run just fine, there’s just one problem however. Viruses are a big issue on Windows XP, the security updates just aren’t coming anymore and any Virus that is any good will only able to completely decimate Windows XP. If infected with a virus you will notice the most erratic behaviour with the computer running at a snail’s pace. Although you may be inclined to get a new computer because of this extreme infection, I must advise that the effects of a virus are not permanent nor will it damage the hard ware in the computer itself. There are rare incidents when the Virus itself might damage a hard drive beyond the breaking point. If the case, the computer itself is no longer able to properly operate, thus needing the hard drive replaced for it to run Windows again. The biggest hurdle that many people face when changing their Operating system would have to be their files. If you are a person who has a wealth of information on the computer it is highly advised that you backup all of your personal information on an external hard drive. 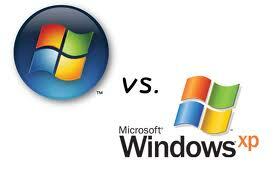 Windows 7 does make a portion of this easy by allowing you to directly install it on top of the previous Windows installation, however any programs like Microsoft Outlook or Quickbooks would need to have had been backed up manually. However if you have taken all the appropriate measures, then you should be comfortable knowing that transitioning to Windows shall be a relatively harmless one. If there is one thing that Windows 7 manages to do that it completely excels Windows XP is its file searching capabilities. With Windows XP looking for a lost file or program was a bit of work. The search system was clunky but it worked for the most part. Many times however the returned result was something not desired. 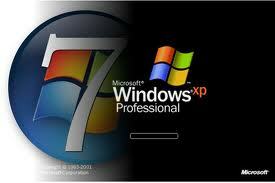 The smart search capabilities of Windows 7 were very refreshing and so easy to use. So easy it became that If I wanted to look for anything on the fly without wanting to dig through a mountain of folders all it involved was one button click. That’s what is truly great about the smart search system. By simply hitting the windows key on the bottom left of my keyboard and then by just starting to type I see the results appear on the screen above. It works much like magic in any sense of the word. Author Name -Arthur Moreno [Elder Tech Computer Chief Engineer in Command] A huge Laptop repair Broward market in USA where you can repair your old computers and laptop disk cleaner. !